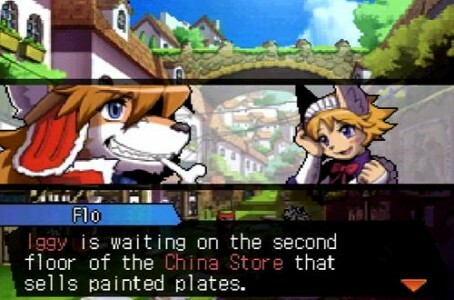 Nearly 13 years ago, Tail Concerto was quietly released on the Playstation and garnered an almost instant cult following due to it’s unique gameplay stylings and colorful cast of characters. After a good time of waiting, Solartorobo: Red The Hunter is back as a spiritual successor to the classic, with a brand the batch of allies, quests and foes to encounter and CyberConnect2 are to thank for putting in the time and effort. Now, there is a good chance that many of you have never played Tail Concerto, but the fact that this follow-up even exists is a miracle in itself and honestly something we don’t see happen very often. The question is though, does Red and his pals have what it takes to put on a show, or is this title all fan service with no substance for newcomers? 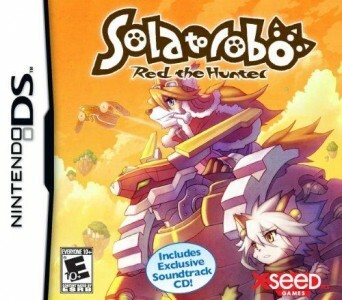 Here is my review for Solartorobo: Red The Hunter for the Nintendo DS. 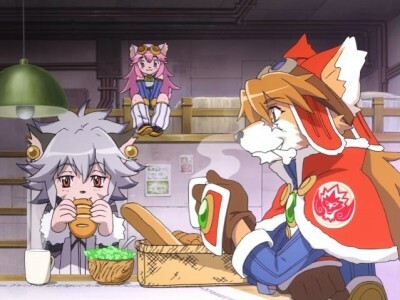 In a world where humans are extinct and anthropomorphic animals inhabit, there lives Red Savarin, a freelance hunter who takes up quests and odd-jobs to make a living. Joining him on his travels is Chocolat, his always excited sister, always ready to offer her opinion on just about everything as Red sets out to perform his small deeds, but never seems to want to do much dirty work. That’s where our tale starts, but within just a few minutes of playing, Red encounters an orphan who asks of a large favor, and must set out to unlock the secrets of a magical medallion. This may sound like your typical RPG fare, but Solartorobo offers up more than any story-loving fan could ever ask for. Every NPC has their own quirky personality, and while they usually all want something in one form or another, most paint a vivid picture of this world and utterly ooze charm in the process of doing so. I personally never played Tail Concerto, so going in I was a bit clueless of what to expect with Red or any other character in the game. That’s the glory of Solartorobo though, as throughout the timespan of the entire adventure, we actually see a lot of layers slowly peel away about just who this brave hybrid is, along with his one true purpose for existence. After around ten hours in, the story takes a complete 360 due to a sudden development, keeping the delightful narrative fresh up until the grand finale. While the atmosphere and mythology that goes into the plot for Solartorobo is vast and on a grand scale, the actual gameplay is a bit more simplistic. 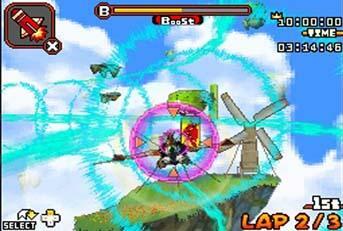 A majority of the game is spent riding around on Dahak, which is Red’s trusty robot. Dahak is literally the core of the game and feels like a second skin to Red, as you will use this mech to travel, smash down walls, pick up boxes, solve puzzles, battle, and so on. Dahak controls the same way Red does as well, which is with the D-Pad, and most tasks are as simple as just tapping A. At any given moment, Red can eject from Dahak to move around freely at anytime, allowing him to reach new areas and get to those harder to reach spaces in crowded areas. Battles are about as standard as you can get. The main objective with this combat scheme is to get up close to an enemy, lift them up with your huge robotic arms (all done while tapping A), and then chuck them across a room. 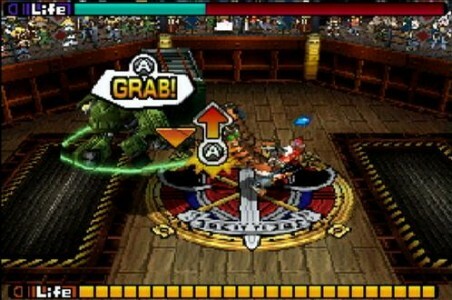 Jumping while doing so leads to a slightly enhanced effect, and enemies can also be caught in mid-air and re-thrown to drain their HP bars in a quicker fashion. It sounds like a blast to perform, and it is indeed fun, but this form of combat does not change for a good majority of the game, which makes the entire battle system grow to be both tiresome and tedious early on. Red can find pieces to upgrade his robot scattered across the islands, which is done with a block swapping mini-game. Upgrades don’t offer much more than slightly boosted speed and attack strength, but the effects are noticeable and add a glimmer of depth into an otherwise linear format. Thankfully, not all quests are about destroying enemies though, as there are plenty of fetch quests and puzzles tossed in to offer up some variation. At nearly every location you visit, there is usually a list of quests waiting that offer up a bit of a distraction to your main objective such as performing errands, finding an item, or locating a loved one. These tasks usually run short, but due to the sheer quantity, it’s easy to say that the player will spend more time doing odd-jobs and running around the islands than actually cracking the mysteries of any medallion. Not all of the quests are simply about fetching either, as you will be going on air races, battling in arenas, fishing, and enjoying a ton varied fare that makes it feel as if you’re never doing the same thing more than once. With all of the quests in Solartorobo, it was nice to see so much creativity applied in order to make each mission feel distinct, even if some were certainly more intriguing than others. Due to the large number of things to do, boredom is one thing that was never an issue for my time with Solartorobo. Even after completing the game, there are still a ton of collectibles to be found, tasks to perform, and locales that beg to be explored. I do wish that some things were done different, such giving Red more abilities on foot or making the side quests tie in to something worthy of merit, but the open pacing of the story blends well with the game and makes the entire experience fit in perfectly with the whole handheld platform issue. If you want to explore a dungeon and knock some quests off your list, you can do so and return to whatever else you may be doing in real life. If you want to play for 9 hours straight and get to the bottom of the main narrative, you’re free to do that as well. Solartorobo goes as fast as you want it to, and that is what really makes it worthy of going back to, time and time again. The DS has been winding down for sometime now, but this title certainly proves that graphics can be pleasing for an older tech. Solartorobo uses an anime art style to convey it’s characters and 2D environments, which work wonders for the charm factor of game and give it a similar feel to other RPGs such as Dragon Quest and several of the much-loved Atlus offerings on the platform. Despite the 2D stylings, each town still feels open due to the 3D exploration, and several environments are full of animation and life, roaring with a ton of color that is easy on the eye and keeps everything memorable and upbeat as you perform each quest. There is also a good reason that there is a soundtrack bundled in with the game itself, and that is because these tunes can easily stand on their own and compliment the soft art style tremendously. Battle themes are exciting and the player is always treated to pleasant and serene tunes when entering a new town. There is some voicework during cutscenes, which definitely adds more quirky charm and life to the already rich cast of characters, even if Chocolat’s voice actor is a bit hard on the ears. Solartorobo: Red The Hunter is a title that over-achieves when it comes to ideas, but falls a bit short when it comes to execution. Don’t get me wrong, the gameplay is solid and fluid, but compared everything else, it seemed that CyberConnect2 were wanting to make an anime rather than an actual video game. If you are someone who doesn’t mind a lack of challenge or strategy for your RPG though, this title makes the perfect choice as the pacing has been done brilliantly and there is so much to do and see that it’s hard not to go back in for more, regardless of prior experiences with Tail Concerto. 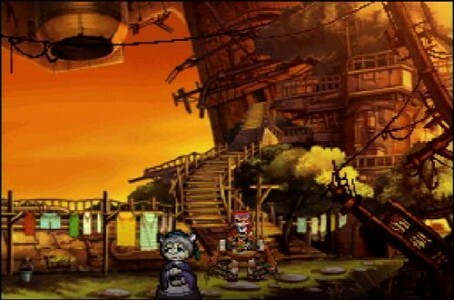 It’s admirable that Solartorobo is on the DS to start with, but if there is a next time and we get another entry in this series, hopefully it will be a full masterpiece, instead of 3/4ths of one.